Master key systems are designed for buildings of all sizes and needs. And since each office, commercial and apartment building has different requirements, your master key lock system in Toronto is customized to meet your needs. As experts in such high security systems, we can help you. Our company has great experience in master locks and their variations. We can rekey master systems and set up new ones. Whenever you decide to install a master system, get in touch with our Toronto Certified Locksmiths. The convenience a custom office master key system will bring to your building is beyond words. The idea of master systems is to operate a pre-arranged number of door locks with the same key while all doors still open with their own key. But there is not only one single design when it comes to master key systems. You can choose a simple apt building master key system which will allow your super to have access to all areas. But you can also choose a more complex design for an office or commercial building. Our techs can set up a master system with more than only one master key allowing access to certain doors to different people in your company. For example, the caretaker might have a key to open all doors in order to clean and maintain. The secretary might have a key to have access to the main entrance, the director’s office and the conference room. A master key lock system is actually a tree type design which might have as many branches as you like. With our help, you decide which parts of your building are accessible by which people. And we can still expand the system if you decide to make any changes. We set up and service master systems in Toronto, Ontario, and will be glad to offer solutions for your building. Call us if you are interested in such systems. 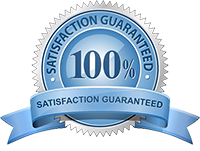 Get in touch with our locksmith for the best master key lock system Toronto service.